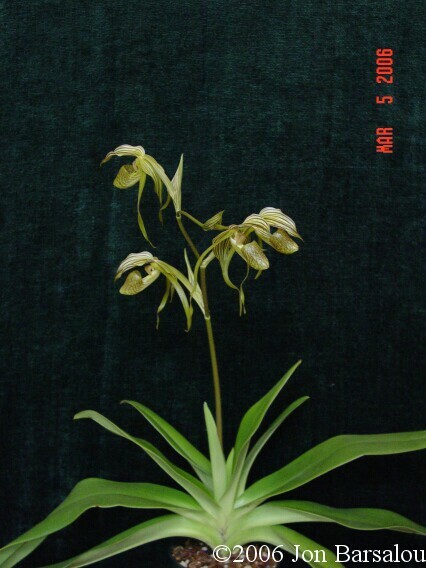 Described: Fowlie in Orchid Digest, 48(1): 41 (1984) - Described based on plants found by a commercial collector in central Kalimantan. 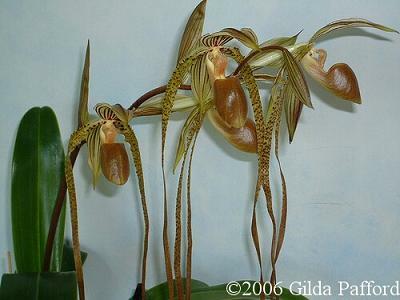 Etymology: Named after A. Kolopaking, owner of Simanis Orchids in East Java, Indonesia, who first flowered the plants in cultivation. 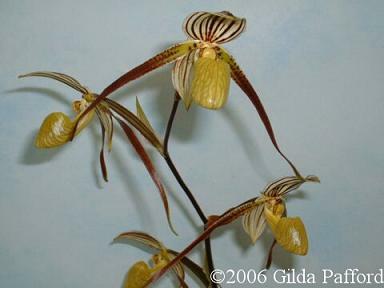 From Cribb 1997: "Paphiopedilum kolopakingii is still rather rare in cultivation and all plants probably originate from the Simanis nursery. 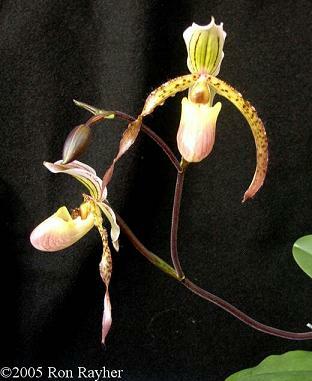 However, its floriferous nature should ensure that it becomes a popular parent in hybridising. 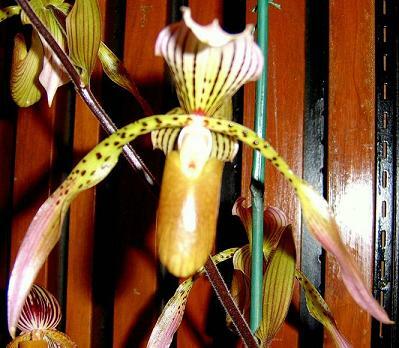 No other species produces so many flowers opening at the same time." 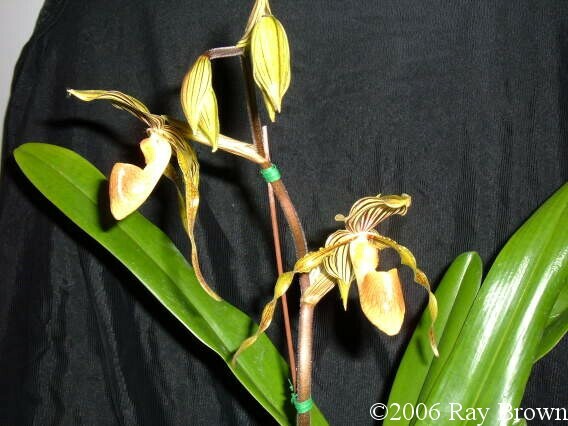 The habitat data available on this species is extremely limited and water, light and temperature ranges are unclear. 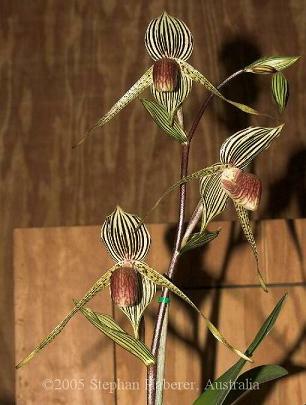 Fowlie, J.A. 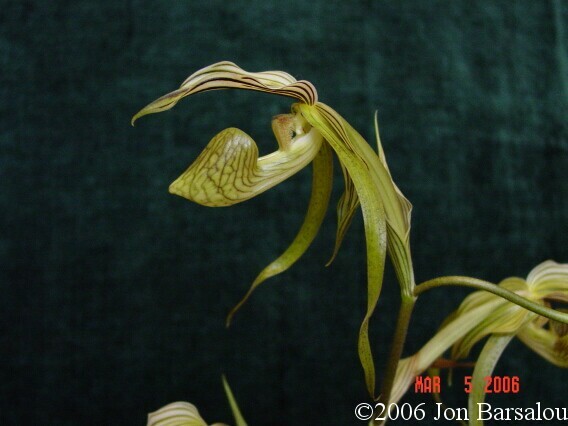 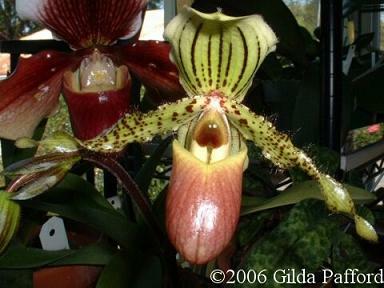 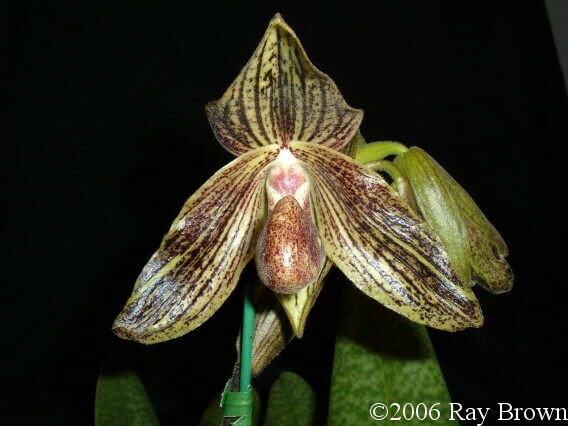 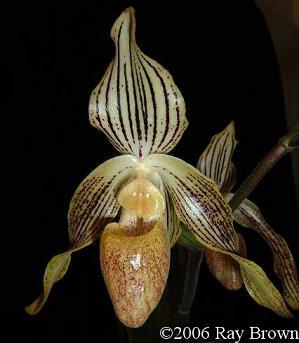 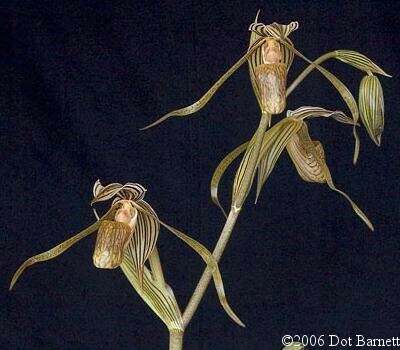 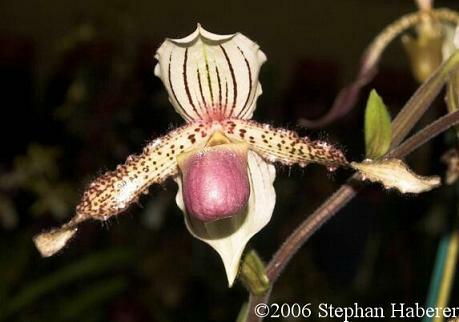 "A New Species of Paphiopedilum from Central Kalimantan, Paphiopedilum kolopakingii Fowl., Sp. 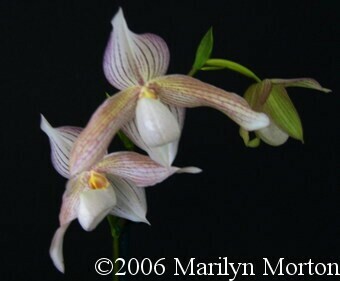 Nov." Orchid Digest 48, no. 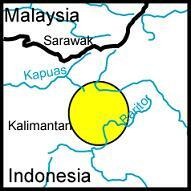 1 (Jan/Feb 1984): 41-42.